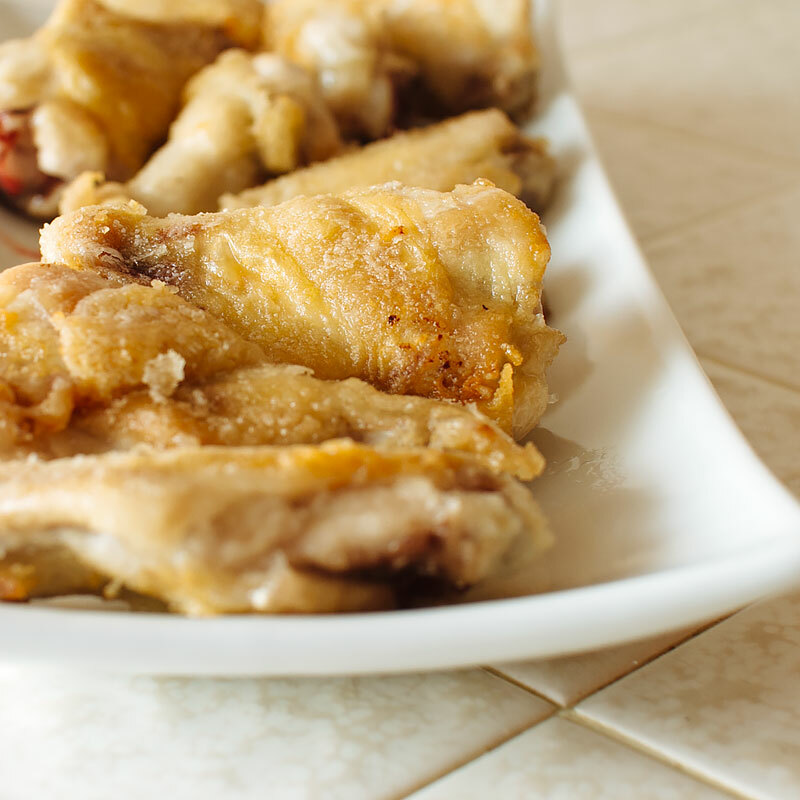 I looooove chicken adobo, and wanted to create a snacky version of my favorite comfort food. 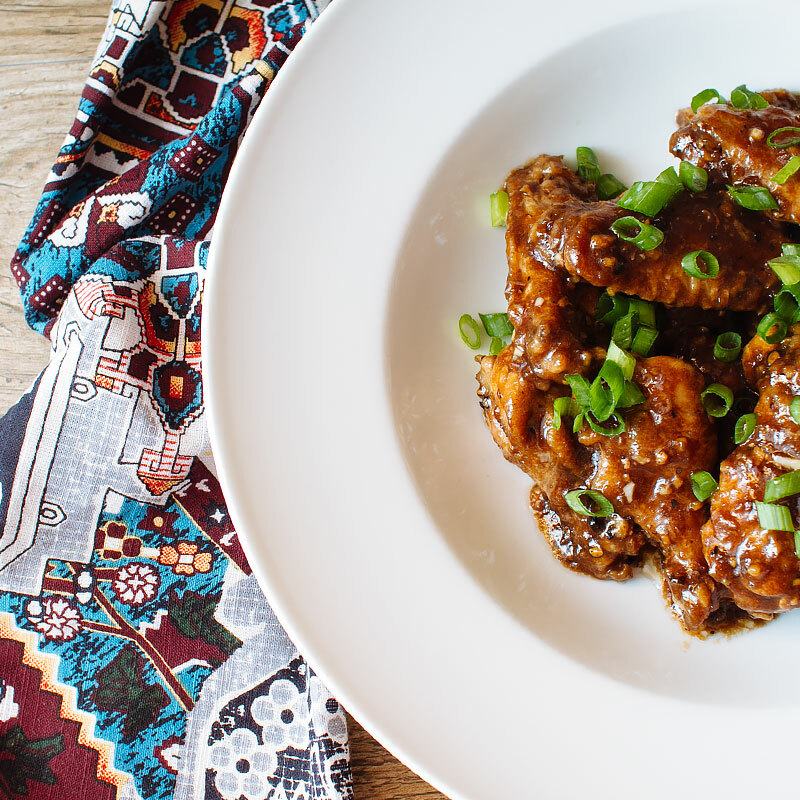 Here it is, in all of it’s soy sauce’d, vinegar-y glory – the adobo sticky wing. Chicken adobo is a very personal dish – some people like it a bit more salty, some like it very sour. I like mine somewhere in the middle, so I use equal parts of both. Be sure to adjust according to your taste. 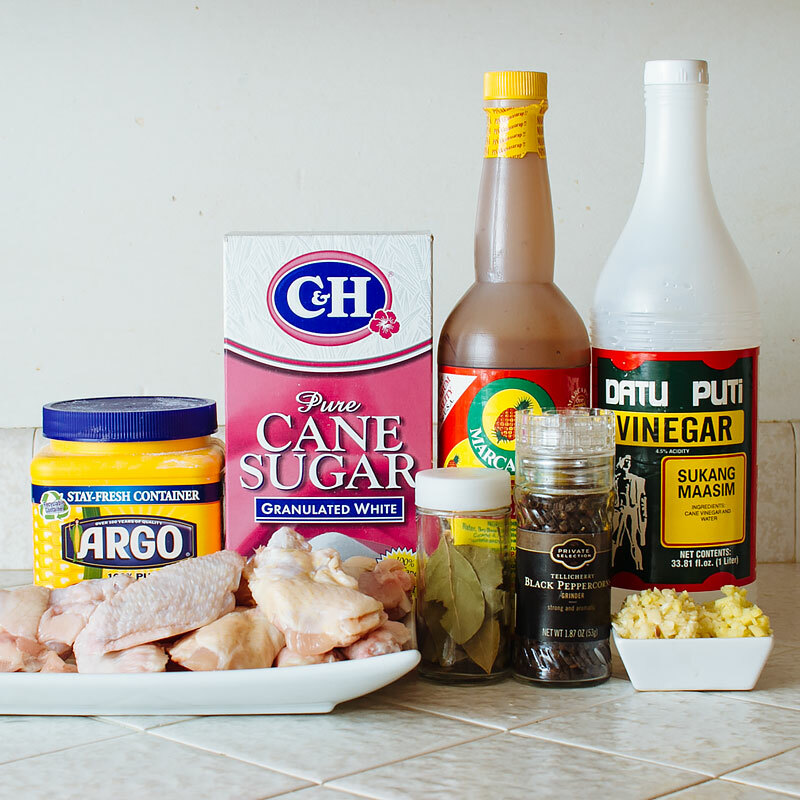 You’ll need chicken wings, cornstarch, sugar, soy sauce, vinegar, garlic, ginger, black pepper, bay leaves and green onions (not pictured). 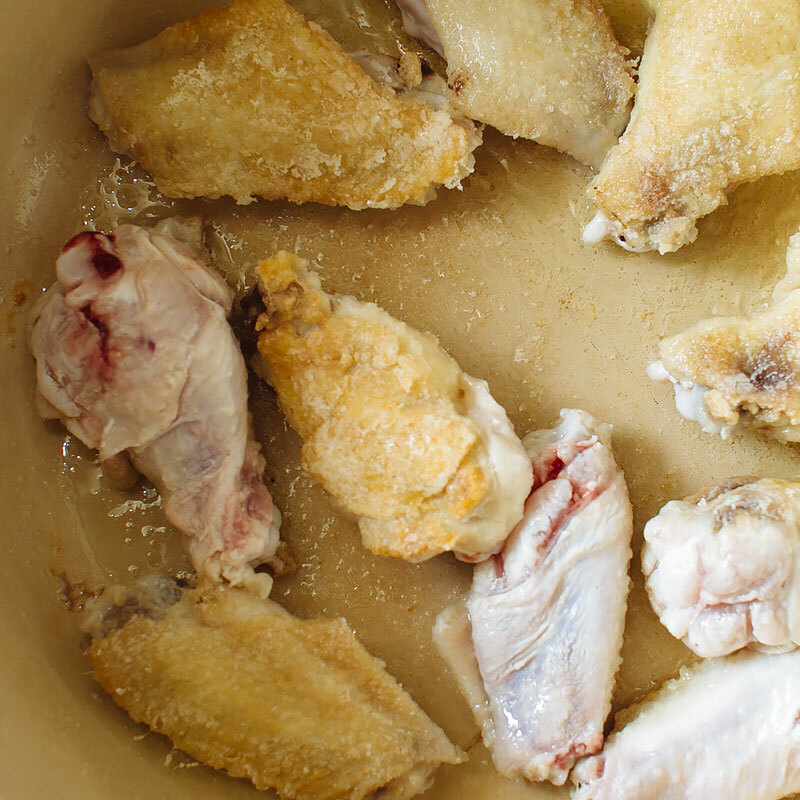 Pat the chicken wings dry and toss in the cornstarch. This isn’t a heavy breaded coating, just a light dusting of cornstarch to help the chicken brown nicely. Brown the chicken in a large non-stick pan or a ceramic dutch oven, about 10 minutes, flipping once. If you cooked the chicken in batches, add it all back into the pan. Add the garlic and ginger to the chicken and saute until fragrant, about 1 minute. And the sugar and pepper. I love love love a ton of black pepper in this and used about 1 tbsp (maybe 1 1/2 tbsp), but please adjust to your liking. Bring to a simmer, cover and cook for 8 minutes. Remove the cover and crank up the heat to medium high. Stir and cook until the sauce has become a thick glaze, about 8 more minutes. 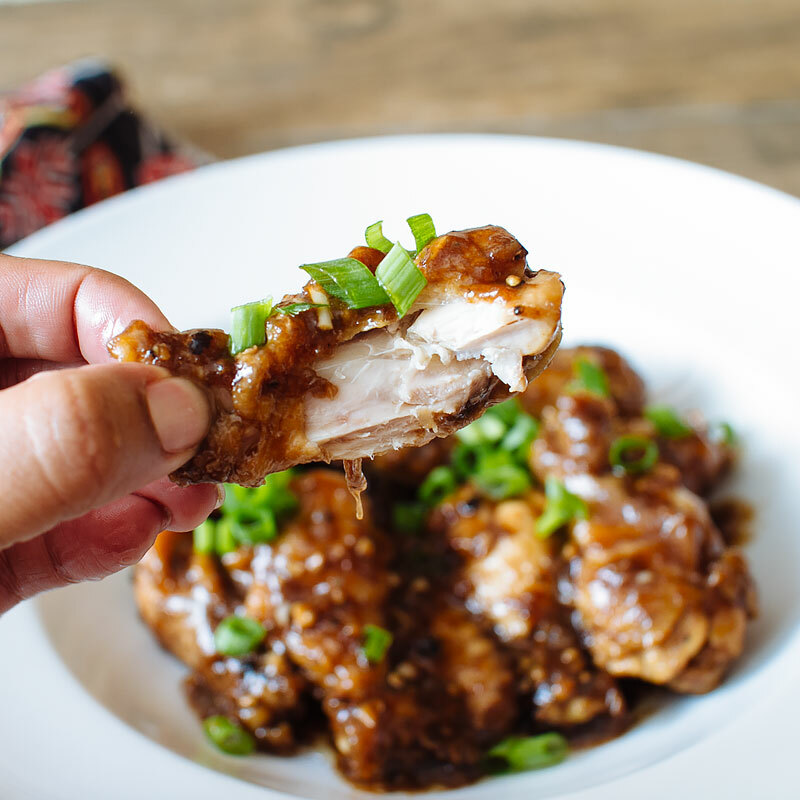 Sprinkle with green onions and devour! They’re just so stinkin’ good. 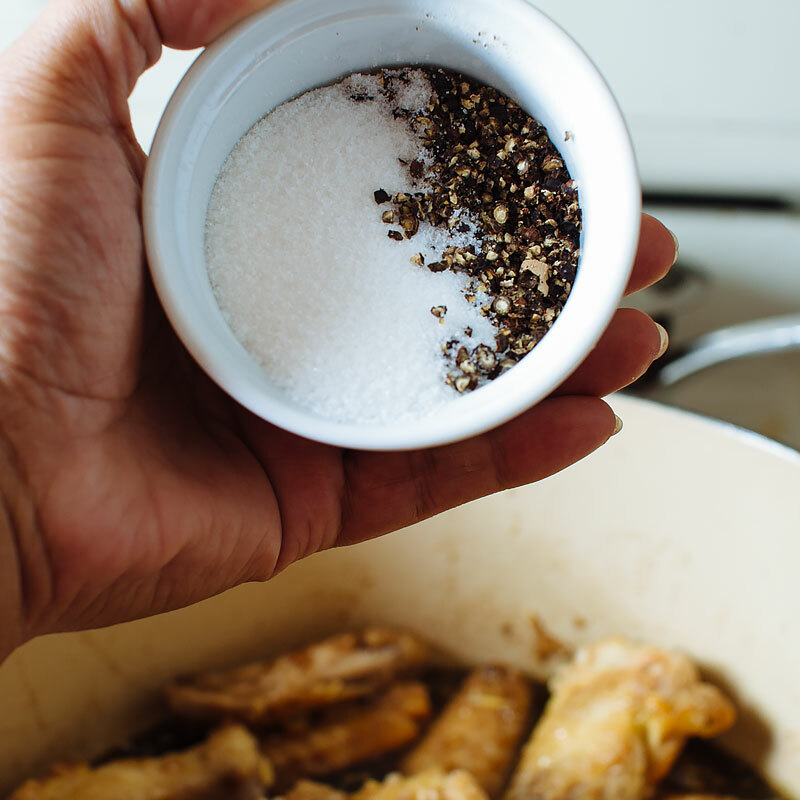 Pat the chicken wings dry. 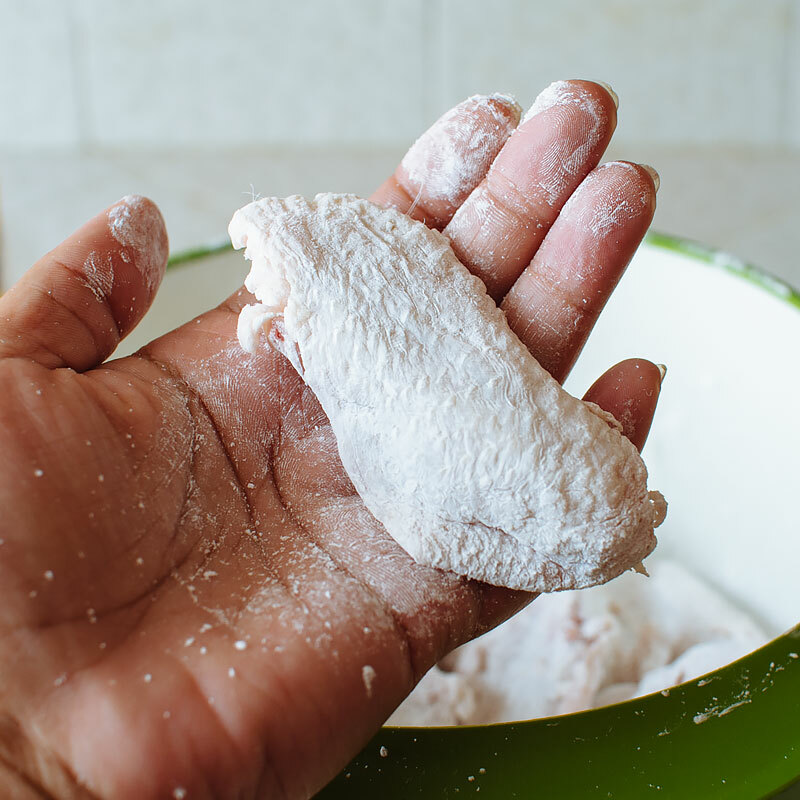 Toss with cornstarch for a light coating. 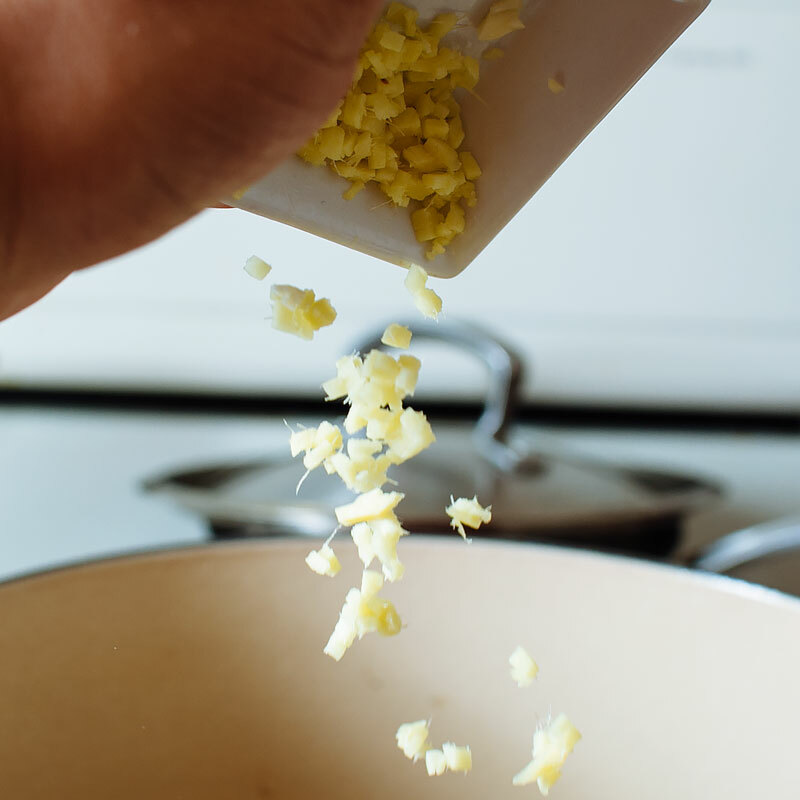 In a large nonstick skillet or a ceramic Dutch oven, heat oil over medium high heat. 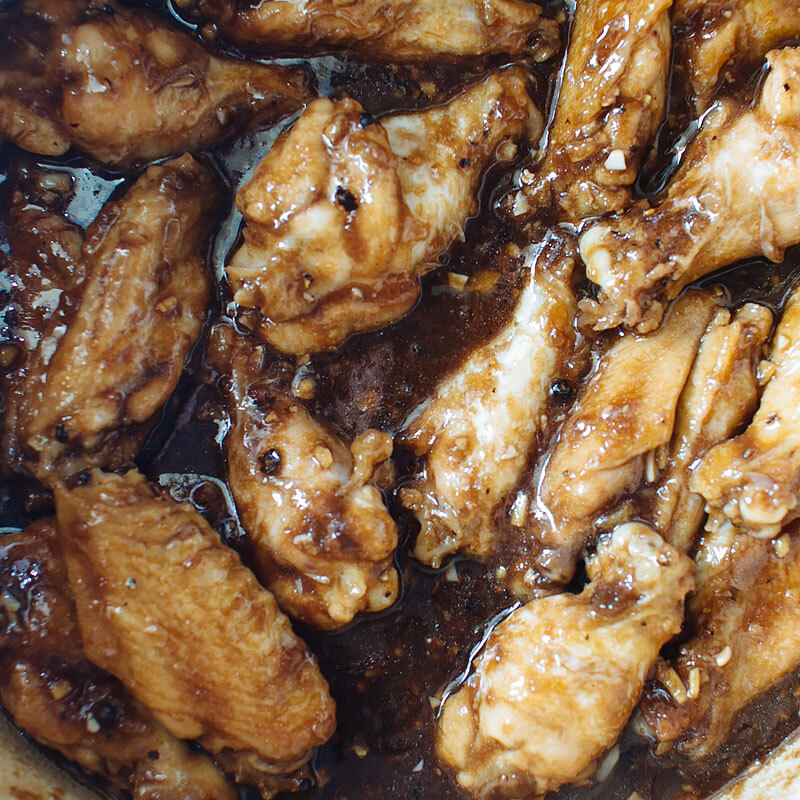 Cook the chicken wings until golden, about 10 minutes, turning once. Be careful not to overcrowd the pan, or the chicken won't brown well - do this step in batches if necessary. Add the garlic and ginger to the chicken and sauté until fragrant, about a minute. Add in soy sauce, vinegar, 1/3 cup water, sugar, bay leaves and black pepper (I use about 1 tbsp of pepper, which may be a lot for some of you - adjust to your liking). Bring to a simmer, cover and cook over medium heat for 8 minutes, stirring half way through. Uncover and continue to cook over medium high heat, stirring occasionally until the sauce thickens into a glaze and the wings are fully cooked, about another 8 minutes. 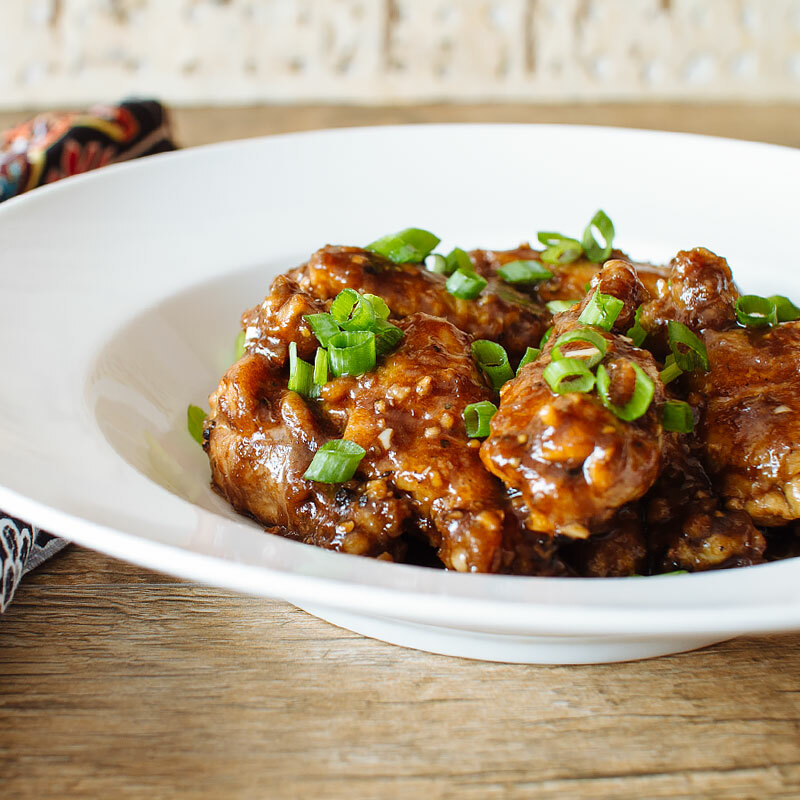 Serve sprinkled with sliced green onions. Oh Holly these look Amazeballs! So Yum and sticky gooey. 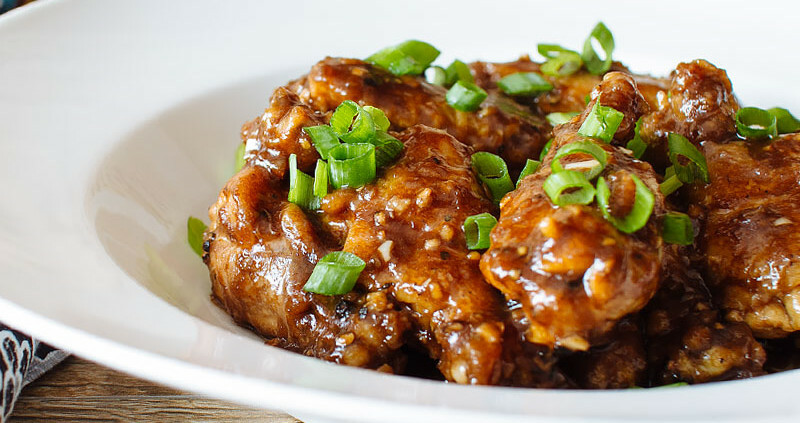 I think I may have to fly out and get myself some wings to try this! These look amazing and I want them NAO!!! I love these flavors and the cooking method! Sounds great! I adore chicken adobo. Had no idea it was so easy to make to until the first time I attempted it myself. 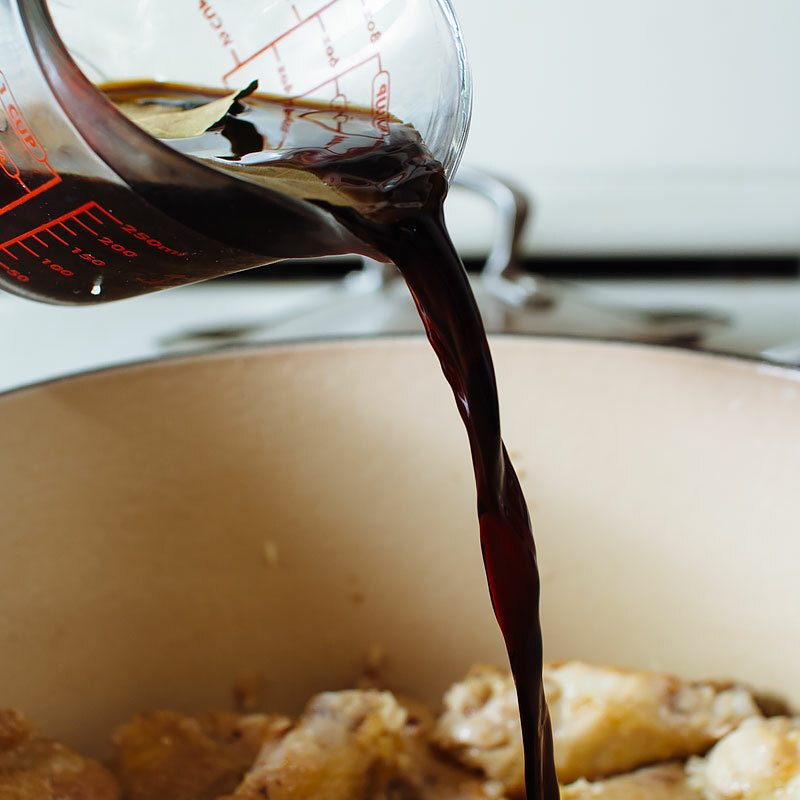 Vinegar + soy + chicken fat = MAGIC. These wings absolutely speak to me.